Our domain expertise enables us to produce a wide range of MS Vessel, which is fabricated from high grade stainless steel. These are widely demanded in the market for their ability to withstand high temperature range and being corrosion resistant. We specially design these machines to suit the varied needs of pharmaceuticals, chemical drugs, dies and allied industries. - Used for sterilizing the surgical instruments, dressings, bedding and rubber gloves in hospitals. 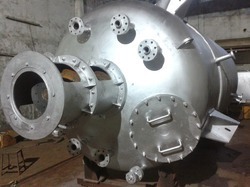 We are a remarkable entity, engaged in manufacturing high quality ambit of Pressure Vessel. 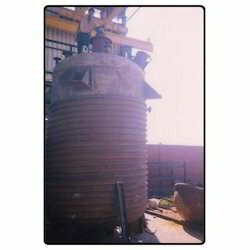 We are indulged in offering the finest quality MS Pressure Vessel.